A spate of attacks against Shia pilgrims and neighbourhoods in Iraq killed at least 61 people on Thursday as the country grapples with a weeks-long political row that has stoked sectarian tensions. The violence, which wounded more than 100, was the worst since 67 people died on December 22, soon after the crisis erupted when Vice President Tareq al-Hashemi was charged with running a hit squad US troops pulled out. Unlike the December attacks, which mostly hit a variety of neighbourhoods in Baghdad, Thursday’s violence focused solely on Shias. Arbaeen marks 40 days after the Ashura anniversary commemorating the slaying of Imam Hussein, one of Shia Islam’s most revered figures, by the armies of the Caliph Yazid in 680 AD. 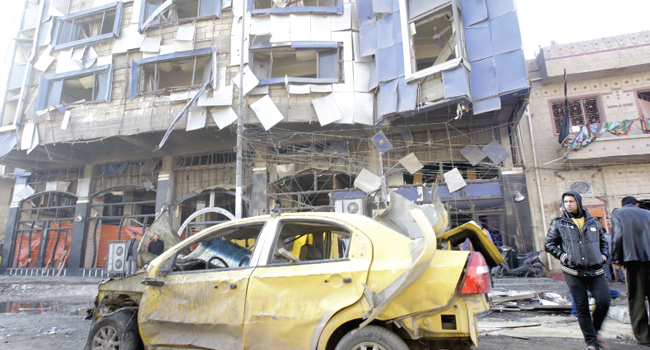 Five bomb attacks also struck two Shia neighbourhoods in northern Baghdad, killed 23 people and wounded dozens more.